EpiSode is an instrumental Progressive Rock/Metal trio with Avo Demirdjian on electric violins, John Laham on acoustic drums and Karno Baghdassarian on bass guitar. EpiSode is still a fresh band formed of talented and experienced musicians. 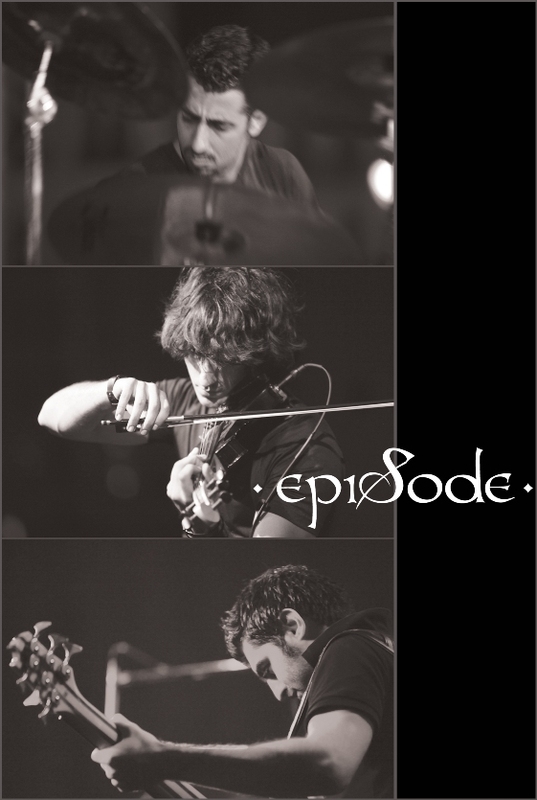 EpiSode opened for Serj Tankian on September 2nd 2011 at the Beirut Rock Festival. Here is an interview with EpiSode which was done with Avo and John in their practice room; unfortunately Karno was not able to stay with us for the interview. How did the idea for this band start? How did you guys gather to form a band? Who came up with the name? 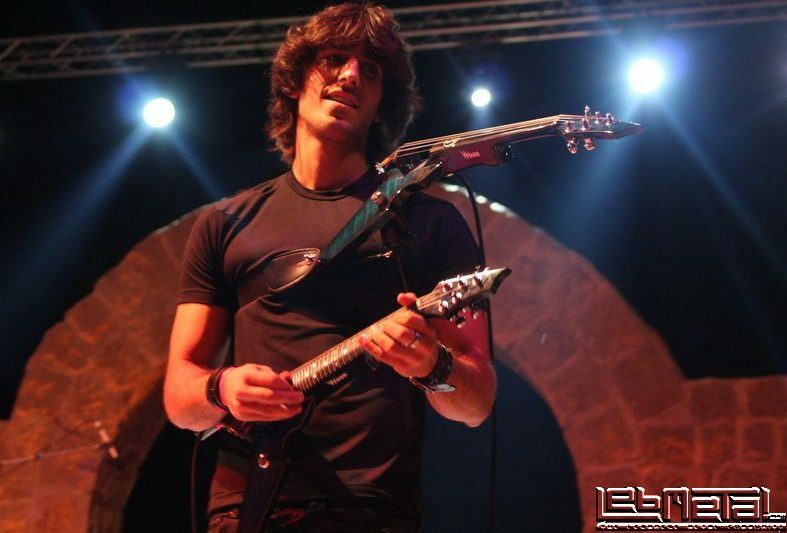 The concept of the band EpiSode was conceived back in 2007 by Avo Demirdjian (Electric Violin & Strings). It wasn’t until two years later, in July 2009, that EpiSode found its structure with its two pillars Avo Demirdjian and John Laham (Drums & Percussion); the band was then formed. Due to few organization, logistic and chemistry issues, EpiSode decided to take another direction. 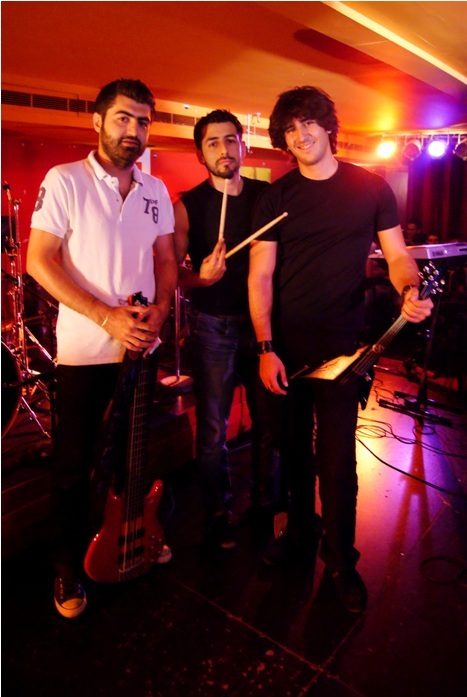 Izzat was no longer part of the band, after which a search for a new bassist started. 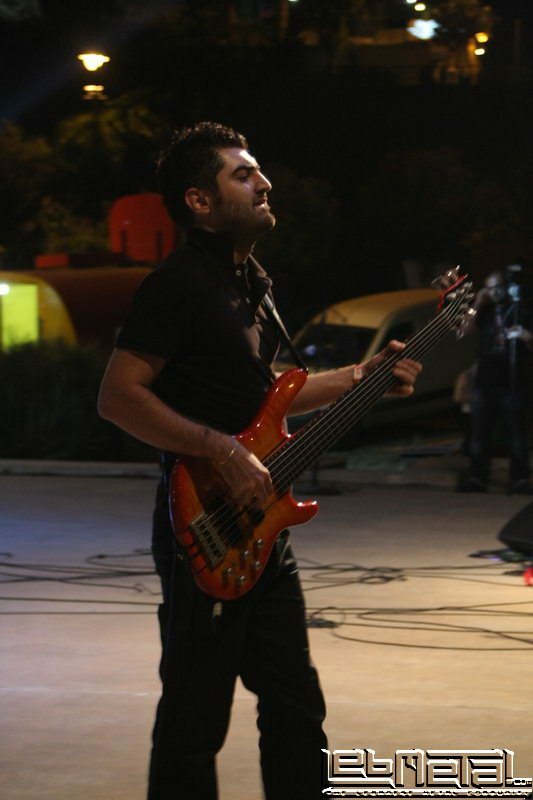 In June 2010, Karnig “Karno” Baghdassarian (bass) joined as the third member of the band. He has been performing and composing with EpiSode since. At first, the band didn’t have a name; we just wanted to give this experience a shot. As we were writing “I Am Divine”, “Novus Ortus” (i.e. The New Life) and “Funeral March”, the first songs we wrote, we realized that our compositions were building towards the same concept and we thought about making each song a different stage or EpiSode of a lifetime. Among our never-ending list of band names, we realized that EpiSode was the one, which fit us best. What did you guys major in? What did you study in music to develop your skills? John: I started taking drum lessons when I was eight years old; I actually practiced on the snare drum for a whole year until I moved to a full drum set. I studied music at the time for three years and got an international degree in music. After that I was constantly enrolled in music classes (mostly music theory and music history classes), I even got a certificate in higher level International Baccalaureate Music (history and theory) when I was in high school. Throughout this whole time, I never stopped playing the drums and took part in many bands during my school and university years, mainly Dilemma; I also helped out some of the big bands at the time, when they were in need of a drummer, such as Negative (-) and Overbliss. As for my university major, I studied CCE and I am currently doing an MBA in AUB. Avo: I studied economics in AUB and got my degree in Econometrics at Northeastern University (Boston). I also got a minor in music there. I was living two blocks away from Berklee College of Music, great ambiance there. I even got the chance to meet some of the most famous musicians known nowadays (among them: Mike Portnoy, great guy btw :P) and watch concerts of some of my favorite bands, such as Dream Theater, Opeth, Porcupine Tree, G3 and others. I started playing classic violin at the age of five in Paris. At first, I hated it. I was given private lessons at home, got a diploma in Solfège and in violin for each year of training. Then I moved back to Lebanon, kept on taking private lessons and stopped violin for one year at the age of 14 to start the guitar. I picked up violin again at the age of 15 and bought my first electric violin. 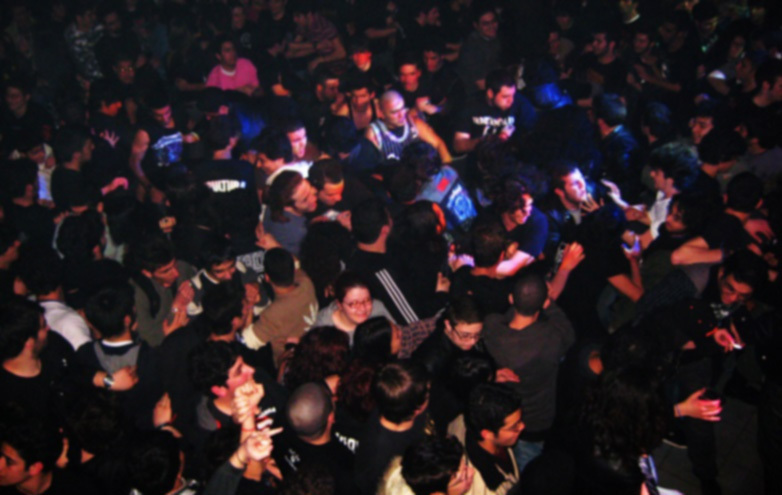 Took part in some of the oldest bands in Lebanon, namely Overbliss and The Arcane (we released our first album “Birth from Division” in 2005). I’ve managed to combine all the violin and guitar techniques I’ve learned so far, on both fretted and fretless 5-string violins. I’m currently designing my own custom violin with one of my old fellow band members, Cyrille Najjar, former of The Arcane. Avo (on behalf of Karno): Karno graduated from Mesrobian College, and got his BA in hospitality management from Haigazian University. As far as the musical education goes, he attended Hamazkayin conservatory but left after two years because he didn’t like the classical formation there. He started piano/keyboard as a first instrument. He is also a self-thought guitarist and best guitar player playing all three instruments since. Aside from being a full time musician, he is managing his own recording studio where we will be recording EpiSode’s first album. How did you work on the tracks? How much do you practice the tracks? Did you play them in front of a crowd? John: a track can either evolve from a riff that one of us came up with or it can simply build up from a jam session. 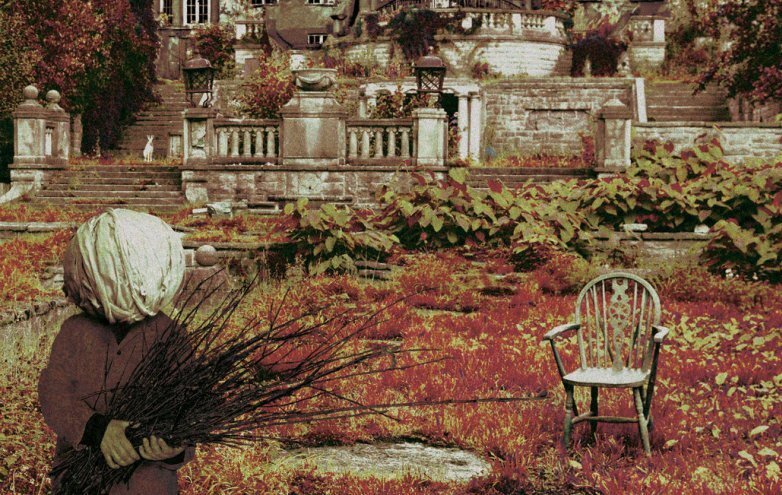 It’s quite ironic when the basic parts and melodies of “Funeral March” (one of our songs, approx. 12 minutes long) were put together in less than fifteen minutes during a jam session, whereas ”I Am Divine” (about 10min) took us six months because we had to rewrite it around 5 times before it became what we were aiming for. But the main concept is always there. We just try to get the best out of some progressions before we consider a song done. We started practicing in 2009 as a band. We regularly meet to work on new tracks and/or practice on the old ones when we have to prepare for a gig. So far, we have four tracks that are completed (about 45min of repertoire) and three to go. The concepts/skeletons for the three remaining songs are there but are not written/polished yet. 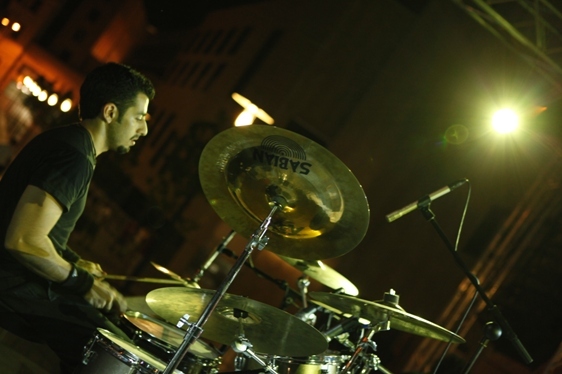 We had the chance to perform our repertoire several times, namely at both Fete de la Musique 2010 & 2011, the AUB outdoors where we had about 4,000-5,000 attendees, the Beirut Rock Festival as the opening act for Serj Tankian on September 2, 2011 and others. Did you consider releasing a single or EP before the album is done? Avo: We honestly thought about it, but again we didn’t want to rush things or waste time going back and forth, in and out of the studio. Besides, instruments’ sound changes along the year and we wanted to maintain the elasticity of our sound to a minimum during studio sessions by recording the entire album around the same period of time. By releasing a single or an EP before the album, it would eventually mean recording some tracks before others and potentially bring different texture throughout the album. Aside from that, we didn’t want to release the material we currently have without the rest of our track list, so we thought we would wait. The album should come out around April of 2012. Why did you decide to keep it instrumental? – this project is a narration of someone’s life, not necessarily our lives even if we did write it. So we thought adding lyrics would compromise the audience’s freedom of imagination. It’s just like comparing a book to a movie, the book gives the reader the freedom to picture the characters, the colors etc. whereas the movie just have everything set for you. – Liking a voice is a matter of taste, either you like it or you don’t, and we didn’t want EpiSode to have its texture set on such a subjective aspect. So we thought that if at some point we were to have vocals, we would be collaborating with guest singers for side projects, but we’ll see. – You might disagree with this one, but I think that people enjoy going to concerts of bands they know and where they know the lyrics of the songs. When you don’t know the band, it’s quite hard to associate yourself with the band performing especially when you don’t know the lyrics. But you blend in during the guitar or any instrument solos. EpiSode is exactly focusing on that: it’s this solo of drums, bass or electric violin over the entire song. Again it doesn’t necessarily mean that we will never have lyrics to our songs, it’s just for the time being, and it’s not what we are looking for. Your band is currently a trio band; did you consider adding any additional members? Indeed we have considered recruiting a fourth member. We’ve been thinking either a cellist or a pianist. We have already auditioned two pianists in the past few months, but we didn’t look seriously into it. We’ve been focusing on our writing for the time being. And as far as the album goes, we believe that we can fill up just fine all 3 of us, overlapping tracks and recording an entire orchestration out of our respective instruments. 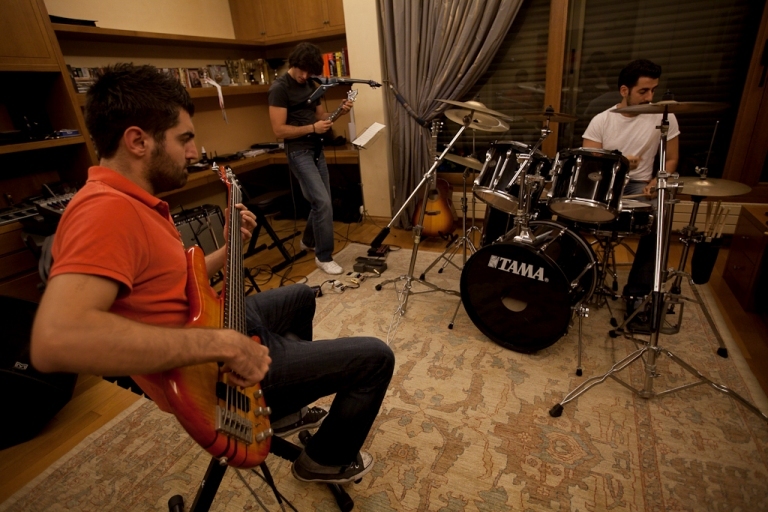 On that note, the main challenge we had so far was finding suitable musicians for the band, given the shortage of solid/available/motivated musicians in Lebanon. We had to audition about 20 bassists before we found Karno and added him to the team. Is there something you try to avoid doing in your music? We avoid doing something we don’t like and we definitely do not want to commercialize our music simply to attract a bigger audience. We go with the flow of our style by writing what we enjoy and hope that people will react positively to it. But at the end of the day, we’re the first listeners of our music. If the audience can share our appreciation to our music, we are flattered and it brings an added value, as well as a motivational boost to us. Name a few of your main influences. 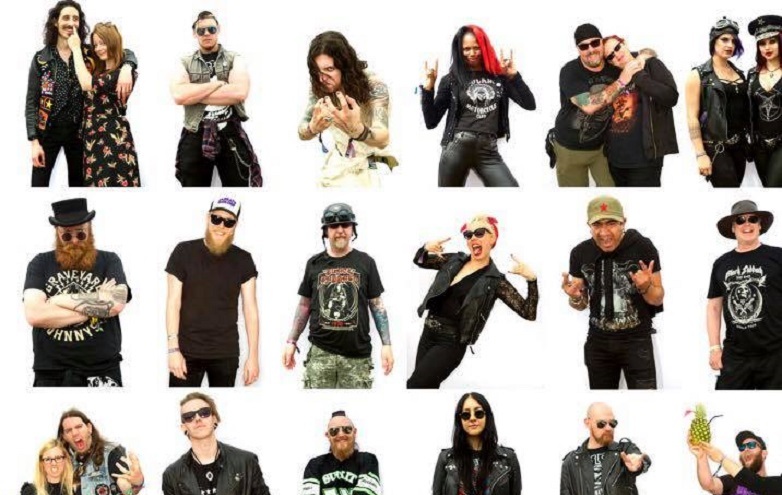 Which band is your style closest to? John: Dream Theater, Metallica, Tool, Symphony X, Steve Gadd. Avo: Dream Theater, Metallica, Porcupine Tree, Opeth, Kamelot, Apocalyptica, Rhapsody of Fire, Angra, E.S. Posthumus, Joe Satriani. Karno: Mostly oriental chill-out music. Balkan/Caucasian, Armenian music and some Classic Rock music such as Scorpions, Iron Maiden, U2 and Pink Floyd. We think our music revolves somewhere around Apocalyptica’s style and the instrumental tracks of Porcupine Tree, with hints of soundtracks. Describe the album a bit to me. The album translates sceneries of one’s life: we divided the album into seven instrumental tracks starting with birth, passing through childhood, adolescence, mid-20s, second adulthood, the final breath and ending with a funeral march. With such a rich concept, we wanted to emote as much diversity as possible in the mood and the feels throughout the album, while remaining faithful to our sound and by not going in totally different directions given that this narration revolves around the same character. How did you find the local GBOB 2011 competition? Did you learn something from it? Avo: The GBOB was one of those performances where we had a lot of fun on stage. There was a great overall vibe at the event. We had the chance to meet and share the stage with very talented musicians and the audience was quite receptive. 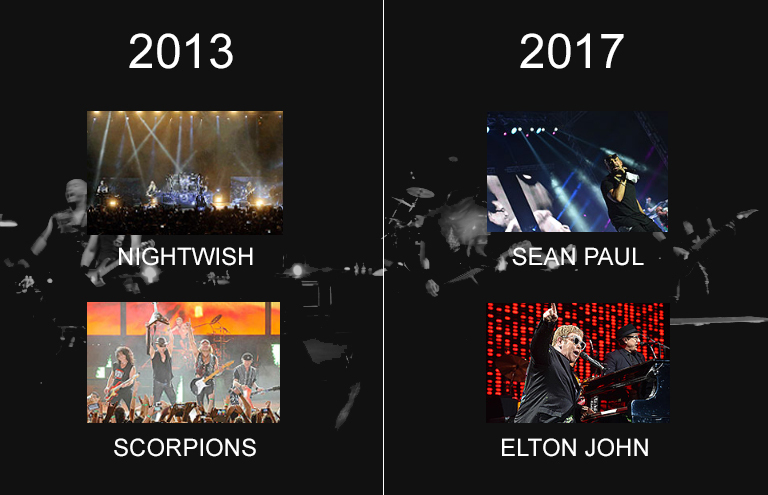 I guess the main thing we’ve been working on for this particular event was our stage presence and I think we made some improvements there. But overall, it was a great experience and presented great exposure for the band. Are you planning to perform in pubs or venues while working on the album? Given that our music is quite conceptual and less trendy, we try not to perform too much. Too many gigs for an instrumental band such as ours can get a bit monotonous with time and we do not want our audience to get used to our songs until we have a more diversified repertoire. For that, we have tried to be selective in our performances and have been avoiding pubs as much as possible. We try to maintain the number of concert to a maximum of one per month unless a big one comes up. Besides, we want to give ourselves some time to write music and meet the deadline set for the release of our first album.